Are you moving a small flat or just a room or two? Then you’ll probably only need two men and a truck or van. 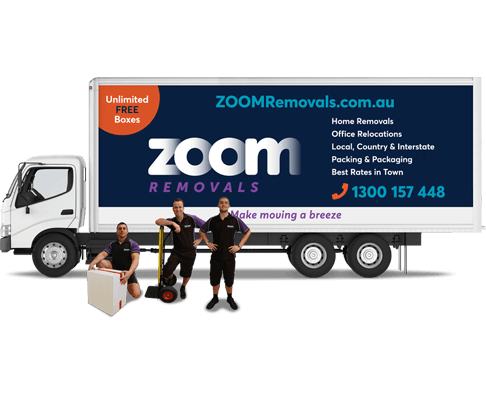 If you’ve moving a mansion, you’ll need a monster – 3 removalists and a 14-16 tonne truck. 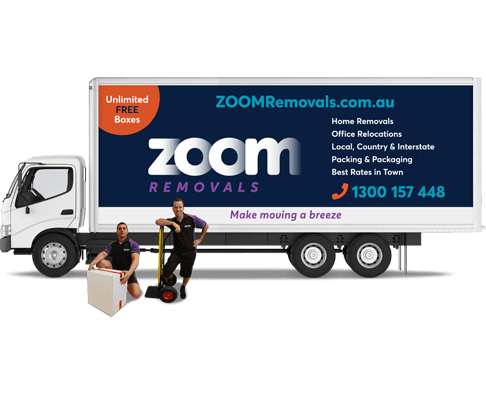 Zoom Removals have no fewer than six different truck and removalist options from 3 tonnes to 16 tonnes. Always remember it is important to choose the right amount of people to move you with the right sized vehicle. If you are not sure what size truck you need, no problem. Our online Get a Quote calculators do the heavy lifting for you. Simply enter all the details of your move and voila, the calculator tells you what truck and removalist package is right for you. If you’d rather talk to a human calculator, call us on 1300 157 448. We'll ask you a few basic questions and work out a truck and price that will be perfectly suited for your move, whether it is furniture or office equipment. It’s the million-dollar question when you are planning a move. How do you choose a removal company that will do the job properly, and that you can trust completely? If your move is slightly larger and you are relocating a 1-2 bedroom home or small office then you may want to consider our 4.5t truck. 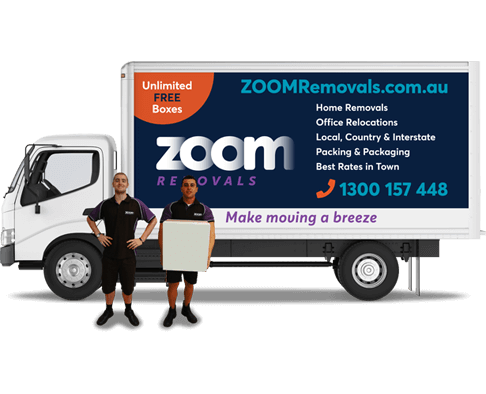 This cost effective and reliable service comes with two strong removalists who will lift and load everything into your new home. Is your move slightly larger? Our 6-7t trucks are perfect for 2-3 bedroom homes and 7-9 person offices. Two expert AFRA-accredited removalists will swiftly wrap, pack and cart your goods safely from A to B. Big men in a big truck ready for a big move. Our 10-12t trucks are well suited to relocate 3-4 bedroom homes and 10-12 employee offices. 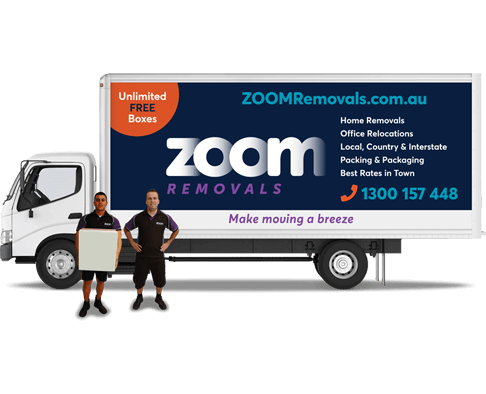 Equipped standard with two strong AFRA-accredited removalists. When only the largest vehicle will do our 14-16t trucks are standing at the ready. These oversized moving trucks handle large 4-5 bedroom home moves with ease. Two removalists will get your moved into your new home in no time. 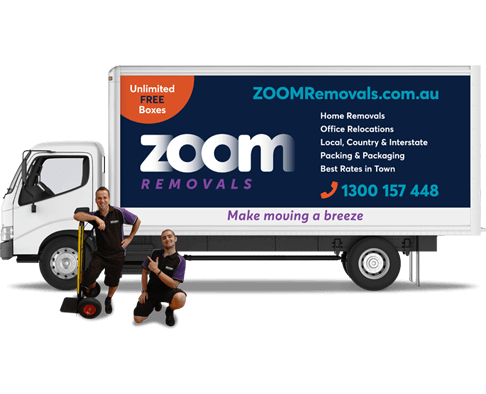 We've taken our largest truck with a capacity of 50-70 cubic metres, and manned it with three highly trained removalists. A bigger truck with more manpower equals a faster finish costing you less! Enter basic information to guide you to the right product in under 30 seconds! Better get going - time is ticking! You can then use our simple Book-A-Move online form to request a date and time. 3-7 minutes to complete. We walk you through your home to then recommend you the right product for your move. You can then use our simple Book-A-Move online form to request a date and time. We can visit your home and conduct an in-home survey for moves of 3 bedrooms or larger to then provide you a written fixed price estimate. Get peace of mind with cost certainty on your move. Don't Forget to Ask About Our Unlimited Free Boxes Offer! If you need more assistance or have a special request feel free to contact us on 1300 157 448 and we can find the best product for your needs. 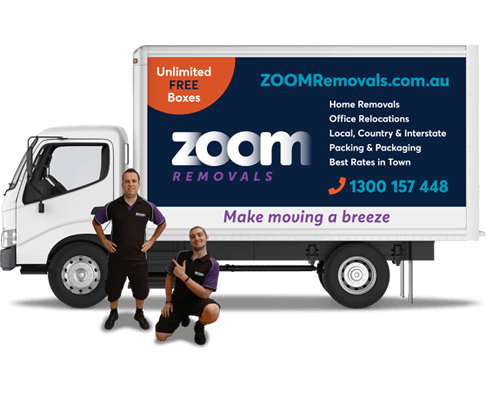 Our friendly ZOOM customer service representatives will confirm all details regarding your move with you prior to the date to ensure we have not missed anything and you have the perfect vehicle for your move.